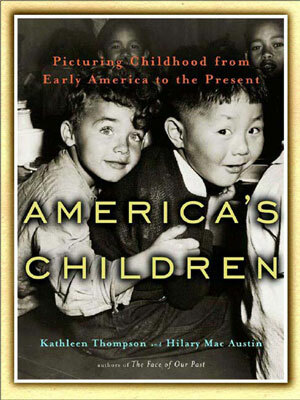 America's Children - Description | W. W. Norton & Company Ltd.
A stunning collection of photographs that reveals the diverse and powerful impact that children have had on America, with an introduction by Ruby Dee and Ossie Davis. Illuminating a vital but all too often neglected part of our nation's past, America's Children is a comprehensive print documentary of children in the United States, the first visual history of its kind. Kathleen Thompson and Hilary Mac Austin explore childhood over four centuries of American life, portraying the children of our past and present through images from museums and archives all over the country as well as from their own extensive collection. Composed of more than 300 duotone images, America's Children includes drawings, engravings, Native American ledger paintings, and sketches by early explorers that date as far back as the 1500s. Almost one-third of these images have never been published before. Hometown newspaper and studio photographers such as Charles "Teenie" Harris, Albert R. Stone, and Fred Hultstrand present a nostalgic but unsentimental view of America's small towns. Harrowing photographs by Jacob Riis and Lewis Hine show the exploitation of children in mines and sweatshops. The groundbreaking documentary photographs of the FSA photographers reveal a child's life during the hardships of the Great Depression. Betty Lane, Jeffry Scott, Cathie Lyons, Nestor Hernandez, and other contemporary photographers glimpse a group of girls at a pro-choice demonstration, an illegal immigrant huddled in his father's arms before being sent back across the border, a child hunkered in absorbed interest at the edge of a vast AIDS memorial quilt, a boy limboing under a crime-scene tape. Alongside these images, the authors have included detailed captions as well as excerpts from interviews, letters, and diaries that allow the nation's children, past and present, to be heard in their own words. Following in the path of Thompson and Austin's previous books—the best-selling The Face of Our Past and Children of the Depression—America's Children is arranged in eight sections, from "Children and Learning" and "Children and Their Families on the Move" to "Children at Work" and "Children at Play," each of which includes a brief introduction detailing the history of children from a different perspective, taking us from a sixteenth-century Algonquian village to a nineteenth-century southern plantation, and from the battlefields of the Civil War to the migrant camps of the Depression and beyond. Revealing the central—and quite adult—role that children have played and continue to play in American society, America's Children is not only a brilliantly revisionist work of historical significance but also a stunning volume that will be treasured by families for years to come.